Here’s some of what you missed in the past week if you’re not one of legions of enlightened souls following me on Twitter. 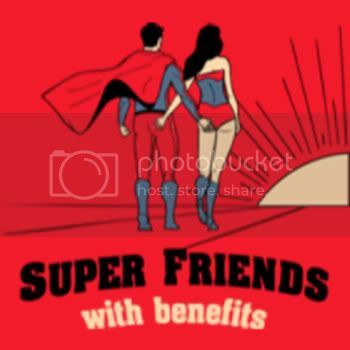 Super Friends with benefits? Awesome. Just totally awesome. And that Comedian’s mask came from my daughter’s Harlequin birthday party.